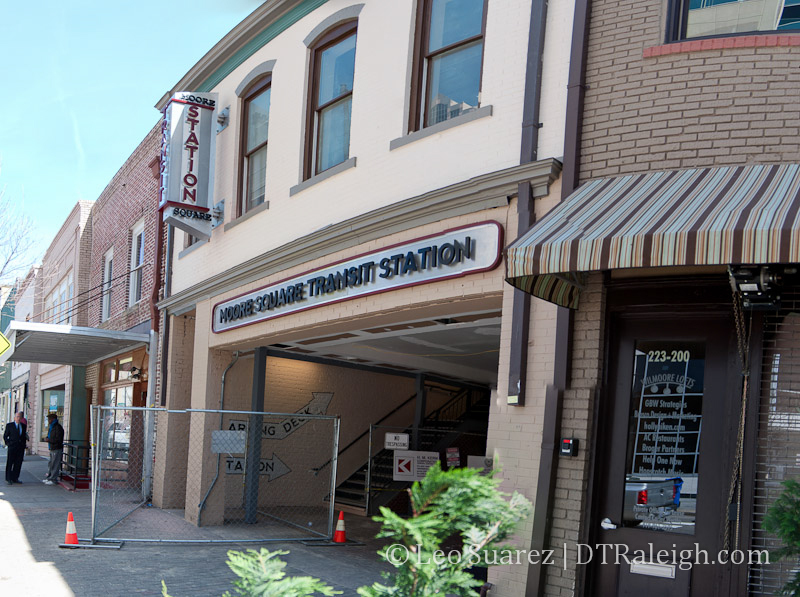 New signage and paint job at the Wilmington Street entrance to the Moore Square Bus Station. These are just a few of several aesthetic improvements that are being made to this part of the station in an effort to increase safety and raise the level of service. This is not part of the future Moore Square Bus Station redesign which could see a complete overhaul of the station in the future. Looks good. Now they just need lots of security cameras and signs that say “NO LOITERING” all over the place. LOL. And doesn’t the chain link fence add to the ambiance? I agree. Moore Square is a perfect place for shopping, entertaining and investment. It is a shame this area has not blown up even more. We cannot even get Skyhouse built…:( So much potential, so little love for DTR.